The Wadi Rum is a large desert valley made famous from the film Lawrence of Arabia and is featured in the remake of Aladdin. 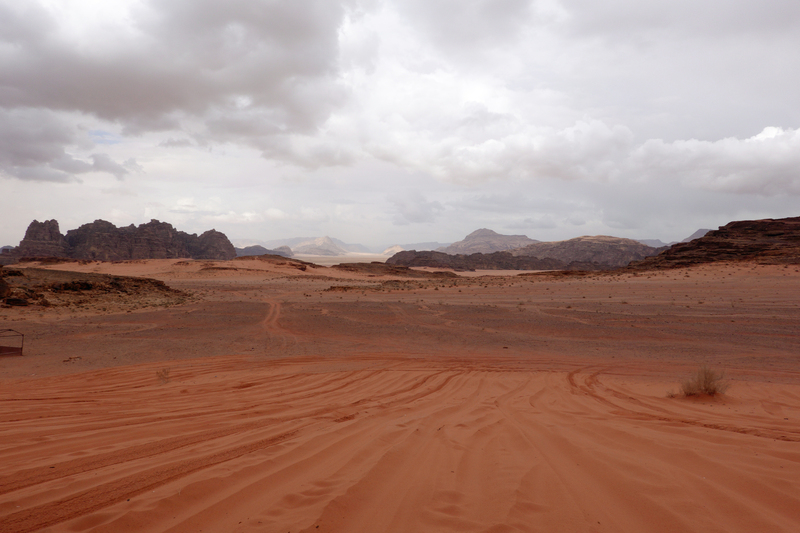 On arrival at Wadi Rum we could see storm clouds approaching, however we continued as planned and jumped in our 4wd utes to take us around. 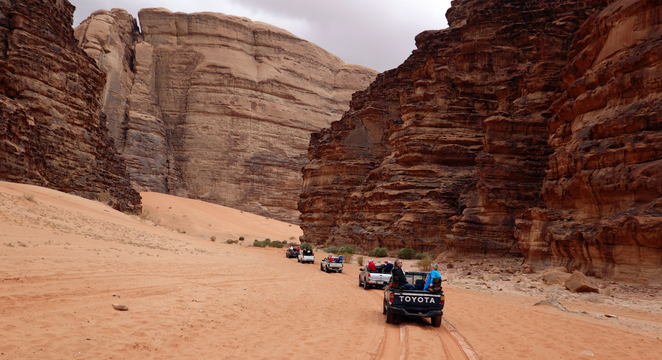 We drove the sandy desert and dunes marvelling and the massive cliffs, till we arrived at the Camel station. A few from our group opted to ride Camels to the next stop being a Bedouin tent. At the Bedouin tent, we were given some tea to sip and were able to purchase a scarf or two. By the time we finished sipping tea in a Bedouin tent, it was pouring with rain and thundering so it was straight back to the bus. It is an amazing place. The Wadi Rum is a good 4-hour drive from Amman and is on a better road than Jerash. On entry to the Wadi Rum, you and the sandstone mountains on one side and the other was granite being the Aqaba mountains. Along the road, we saw a range of farming types being olive, solar panels, wind farms and again the occasional shepherd and small village making their living.